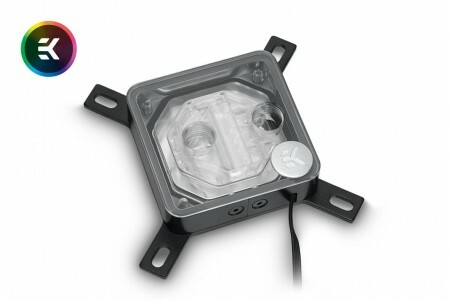 The aquastream ULTIMATE has been specifically designed for PC water cooling systems. Design goals such as high performance electronics, integrated fan controller, temperature sensor, OLED display and comprehensive control options were all met during development. And there is one other feature that should be mentioned here - the extremely low noise level of the pump. Since its introduction in 2003, the name aquastream stands for reliable and durable pump technology - made in Germany. 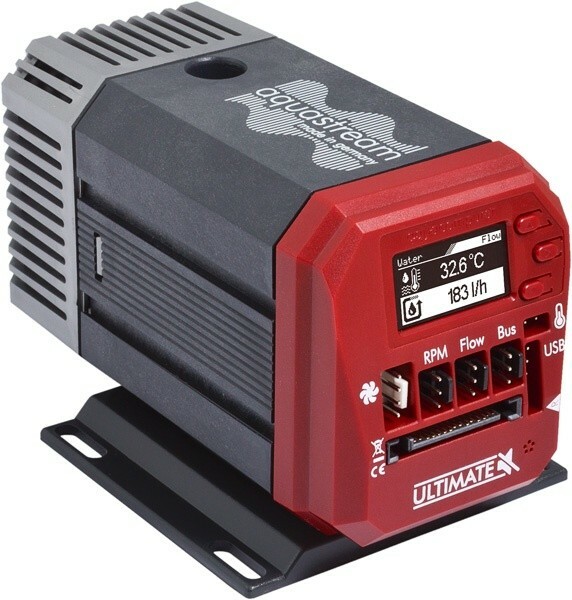 The next big step in development was the introduction of the aquastream XT series in 2007, which includes an USB interface and an integrated fan controller with water temperature sensor in the Ultra variant, defying the traditional definition of a pump. The introduction of the aquastream ULTIMATE marks the next evolutionary step, including a newly developed pump controller and an integrated graphic display. The pump mechanics continue to rely on the time-tested Eheim technology, the bearing made from high performance ceramics has a life expectancy of more than 10 years of continuous operation. To reduce vibration, the ceramic bearing itself is installed in rubber decouplers. The core component of the aquastream ULTIMATE controller is a 32-bit DSP microprocessor featuring an USB 2.0 interface. 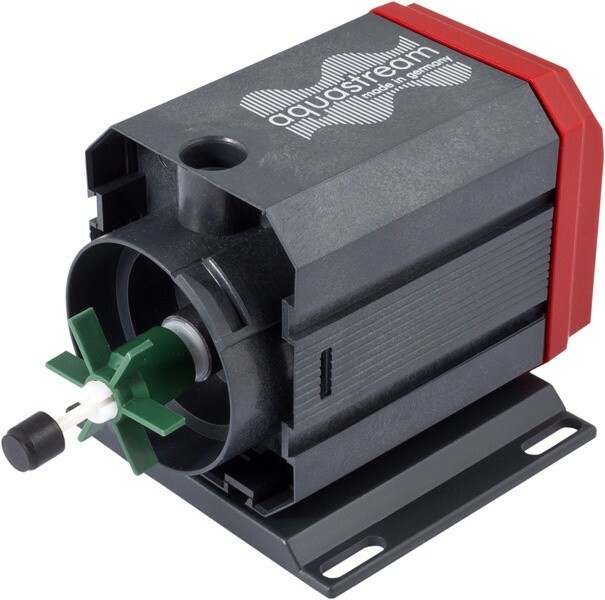 Based on motor parameters monitored 20,000 times a second, pump motor drive is contionuously optimized to reduce vibrations and to achieve a nearly noiseless operation. A fan contoller with speed monitoring is included in the pump controller, as well as water temperature sensor, alarm buzzer and alarm output. Additionally, an external temperature sensor and an external flow sensor can be processed by the pump controller. Nearly every function of the pump can be configured and monitored directly at the unit by using the well structured menu on the 128x64 pixels OLED display. 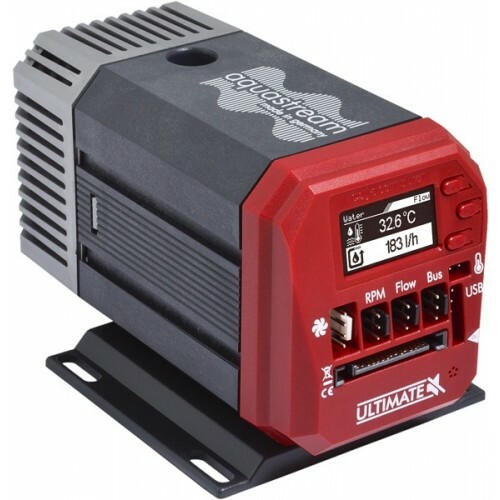 If the pump controller is connected to the PC via USB interface, the pump can also be configured and monitored using the free of charge aquasuite software, which can also be used to perform firmware updates of the pump controller. Software sensors: Up to two temperature values can be transmitted to the pump controller via USB from the aquasuite software or alternatively via aquabus from a connected aquaero 5/6. 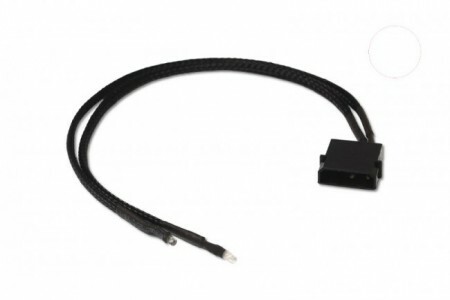 The virtual flow sensor extension can be activated (subject to additional costs) at any time. The feature is temporarily activated during the first 48 hours of operation after purchase of the pump for testing purposes (trial period). When activated, the pump controller continuously calculates the current flow rate from internally monitored pump parameters. Although this calculated flow rate is not as accurate as a mechanical flow sensor, it is more than sufficient for flow monitoring in a PC water cooling system. Limitations: Flow rate can not be calculated if a second pump is present in the cooling circuit! Flow rate calculation is calibrated for DP Ultra viscosity and will deviate when using other coolants or pure water! 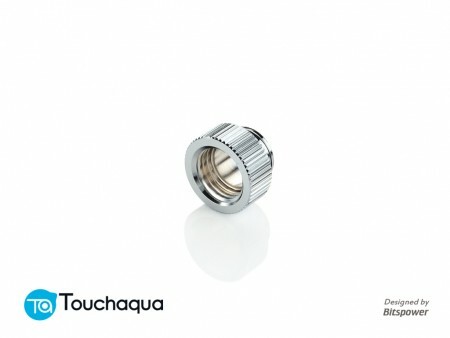 Connector threads on suction and pressure side are identical to Eheim 1046. 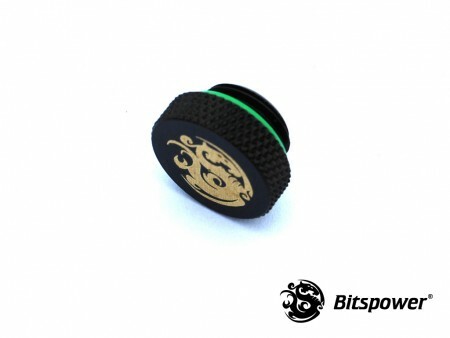 A set of adapters (for example no. 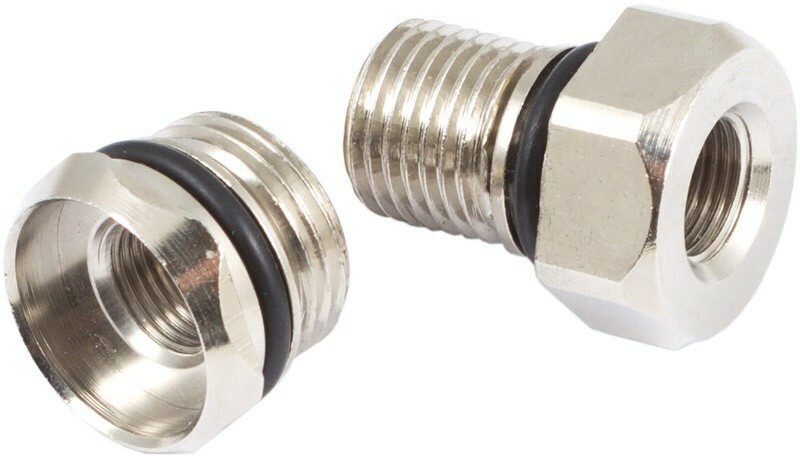 41078) and suitable connectors for your hose dimensions are required and not included.